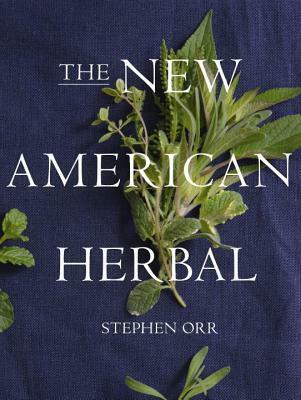 From modern garden master Stephen Orr comes a new, definitive book on herbs to finally replace the dusty and outdated classics. Here are entries on hundreds of plants that are extraordinarily useful in cooking, homeopathy, and more; dozens of recipes and DIY projects; and beautifully styled photographs so you know just what you're growing. With more than 900 entries, each accompanied by brand new photography and helpful growing advice, The New American Herbal takes the study of herbs to an exciting new level. Orr covers the entire spectrum of herbaceous plants, from culinary to ornamental to aromatic and medicinal, presenting them in an easy to use A to Z format packed with recipes, DIY projects, and stunning examples of garden design highlighting herbal plantings. Learn about the herbs you've always wanted to grow (chervil, chamomile, and lovage), exotic herbs (such as Artemisia, the bitter herb used in Absinthe, or the anti-inflammatory Meadowsweet), and ornamental varieties (Monkshood and Perilla). For cooks there is indispensable guidance on planting and maintaining a bountiful kitchen garden and crafters will delight in dozens of exciting new uses for fresh, dried, and distilled herbs. Here, too, are 40 delicious recipes such as Ragu Bolognese with Fennel and Lemon Semolina Cake with Lavender, as well easy steps for projects such as a hanging herb garden and instructions on how to plant, dry, and preserve your garden’s bounty. What a great book! I was not expecting such a huge beautifully organized book. I love books about herbs because I always find something new. I grew up around herbs and usually them for everything. It's nice to have a book of info for the times when you don't feel good or just need a reference. The first part of the book is the Herbal Handbook, garden projects, how to dry herbs, and a bunch of other great ideas. Then the book gets into Herbs A-Z which lists herbs and their properties. There is a great index and the book is really well organized. I love the pictures and the history behind each herb plant. The only thing I wish was that there were more medicinal descriptions with each plant. Many of the herbs do have a recipe which makes it fun, you can cook with them too! This is such a great book and reference for anyone interesting in herbs, growing a herb garden, or looking for specifics.